As the Australian thoroughbred racing industry welcomes the 2016-17 racing season, we look back on the season that was and reflect on some of the key performances and results from 2015-16. In addition, Team Snowden finished third in the NSW Metropolitan Trainers’ Premiership with 71 wins and second in the NSW Provincial Trainers’ Premiership with 55 wins. Closer to home, Snowden Racing topped the Randwick Trainers’ tally with 71 wins ahead of Gai Waterhouse (50.5 wins) and James Cummings (33 wins). A team of smart two-year-olds once again shone led by Slipper-winning colt Capitalist who took all before him highlighted by the prestigious Breeders Plate on debut, the $2 million Gold Coast Magic Millions Classic and of course the world’s richest juvenile race, the $3.5 million Group 1 Golden Slipper culminating in $3,508,000 in riches. The now three-year-old star son of Written Tycoon is up for the 2015-16 NSW Two-Year-Old of the Year Award on August 18 and will hopefully do his group of owners proud led by James Harron Bloodstock and Newgate Farm. A string of other above-average two-year-olds with an exciting three-year-old year ahead included Group 2 BRC Sires’ Produce & Group 3 The Schweppervescence winner Attention, Group 3 Black Opal winner Defcon and the promising Jericho, Russian Revolution, Mediterranean, Acatour, My Country, and Missile Coda among others. Standouts in the three-year-old and older horses’ category included Group 3 winning mares Nancy and Artistry, Group 3 BRC Sprint winner Snippets Land, Listed Fireball Stakes & July Sprint winner Redzel, tough veteran sprinters Dothraki and Charlie Boy, while landing the Scone Guineas and Cup double with Serene Majesty and Pajaro in the home town of the Snowden family, offered a memorable achievement. “We’ve grown so quickly in such a short time it’s important to keep up the pace and improve our results each season,” said co-trainer Peter Snowden. “Luckily we’ve been able to do that in the two years that we’ve been operating thanks to a great owner support base, quality bloodstock and a hard working team. 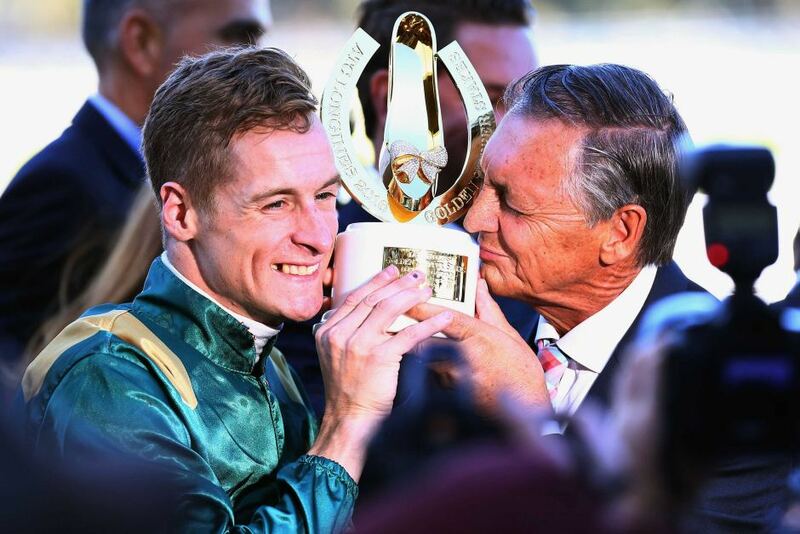 “Paul and I are fortunate enough to have worked with some astute stables and top class racehorses along the way so we find ourselves in a position where we’ve been able to adopt best practices to our style of training and operation.